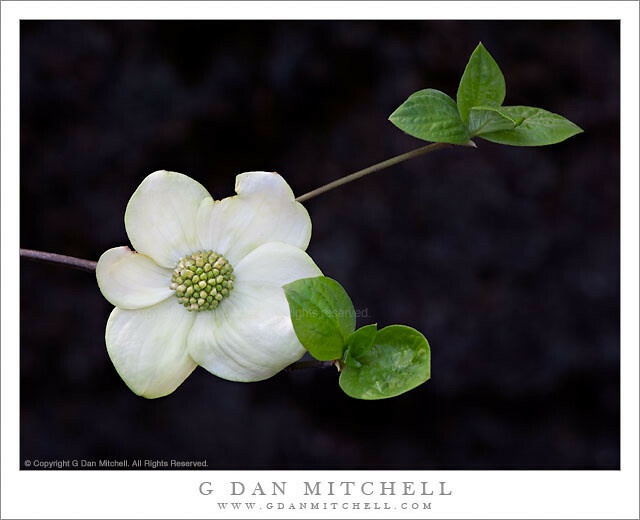 Today’s Photo of the Day is a little reminder what’s coming next now that spring is here, dogwoods! Yes, they’re possibly my most favorite of any subject in the park and draw photographers from near and far. But they’re so beautiful so why not? This beautiful shot was taken by our long time friend Dan Mitchell. Dan’s a great guy and his photoblog is awesome. It’s at the top of my reading list and should be at the top of yours. You can check it out at www.gdanmitchell.com. Beautiful as always, Dan. Thanks for sharing. Shouldn’t be too long until we have a new crop of dogwood flowers. I was there a week ago and the very early, very tiny dogwood buds were just beginning to appear in the Valley.